Absolute Calibration are pleased to be the UK's only official Beamex Partner. 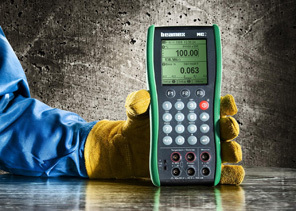 Beamex's range of portable MC calibrators for field calibration are known for their accuracy, versatility and also for meeting both high and uncompromised quality standards. It is because of these high standards that Beamex selected Absolute Calibration to undertake UKAS ISO17025 calibration for their range of instrumentation. Absolute Calibration have many years experience in calibrating Beamex products from bench laboratory experience to training at the Beamex factory in Finland. Firmware upgrades to the latest version will be carried out as part of the calibration process, unless instructed otherwise.